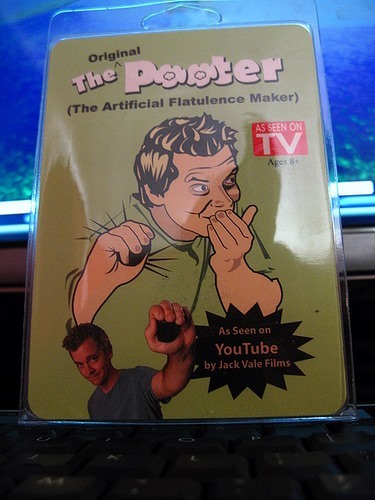 Have Johnny disguised as IrvingZisman and turn him loose on the general population armed with "The Pooter" ( one of the most realistic fart making noise gadgets available ) to release a gas attack like they have never heard. Let him visit crowded elevators, office buildings, crowded buses, shopping malls, taxi cabs, restaurants, movie theaters, job interviews, grocery stores, churches or what ever target he chooses. This joke would even work with the entire cast of Jackass but Irving would more than likely be able to pull it off with epic results.